Robert Cohen's Theatre 10th Edition continues to provide an insider's guide to the world of theatre where students are given a front-row seat. This lively introduction to theatre offers equal measures of appreciation of theatrical arts history of performance and descriptions of the collaborative theatrical crafts. 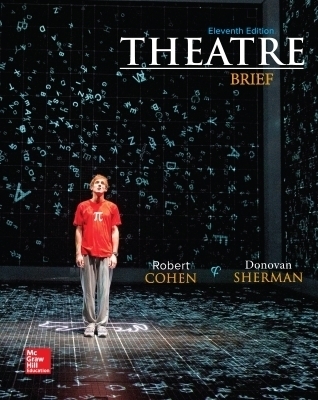 Coverage of design acting and directing as well as photo essays provide a behind-the-scenes look at professional theatre artists performing their craft.The author illustrates live theatre through more than 300 photographs from five continents most of them showing recent stage productions bringing to life many exciting theatre companies and productions. Play excerpts and outlines represent a wide range of theatrical achievement. Highlighted plays in the 10th Edition include: Prometheus Bound Oedipus Tyrannos The York Cycle of Medieval Plays Romeo and Juliet The Bourgeois Gentleman The Rover A Dollâ€™s House The Three Sisters and Happy Days.